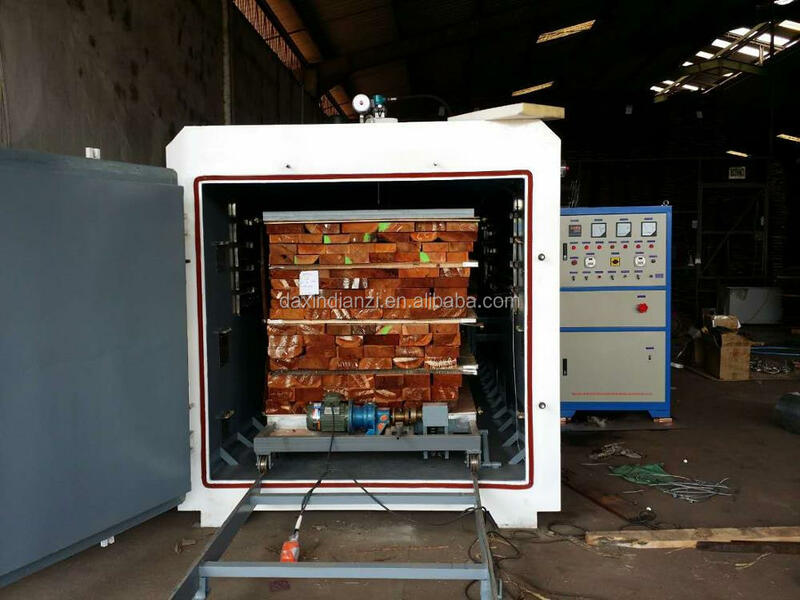 High Frequency Vacuum Drying Machine is the result of design cpmbining high frequncy medium heating technology and vacuum cryogenic dehydration technology. 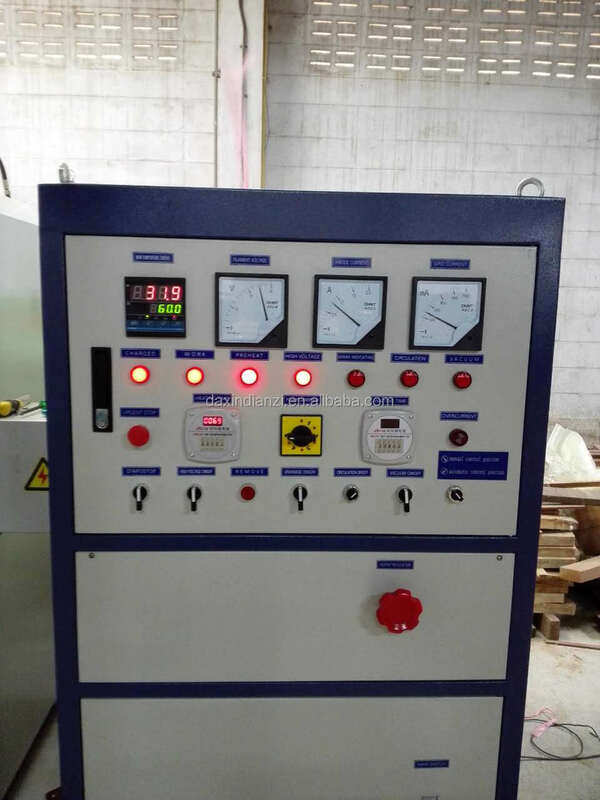 The working principle of HF medium heating: in the high frequency electrical field, friction of medium molecule generates heat. Keeping the wood in the frequency electrical field, thus the inside&outside of wood will rapidly heating. 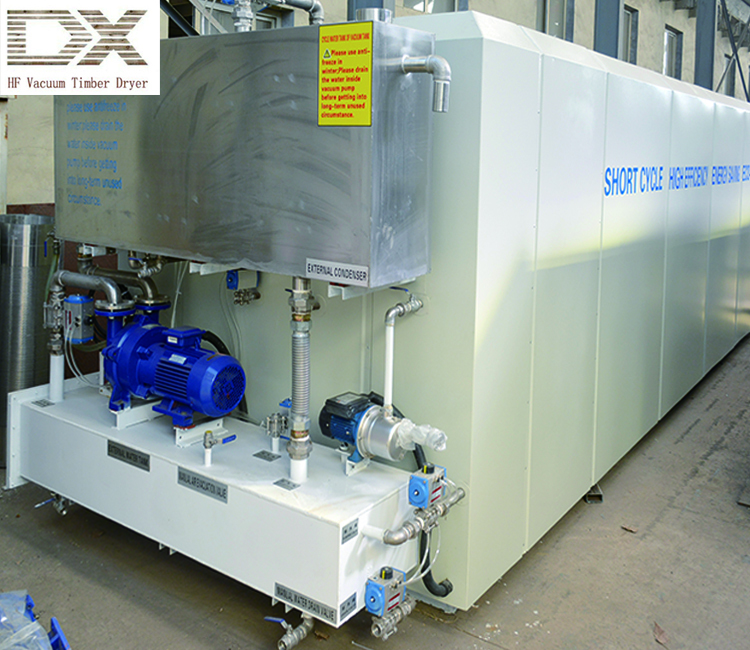 Meanwhile, vaporizing temperature of water will be decreased under vacuum comdition. High frequency heating. A new technology totally different from the traditional conductive heating. 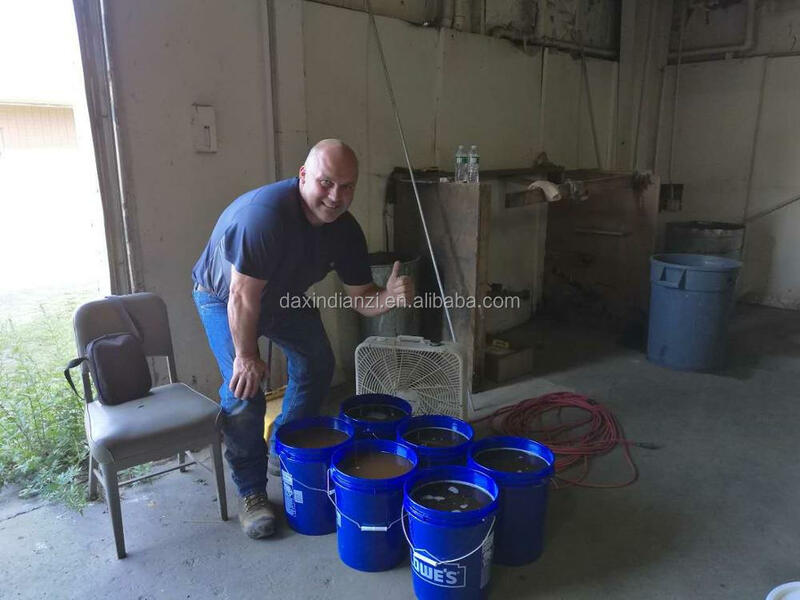 Heating wood from inside to outside because HF wave can penetrate thick wood. Where there is moisture, there is high frequency. Vacuum condition. It can create a minus pressure, the moisture will be sucked out fastly. The water will vapor in a more lower temperature. 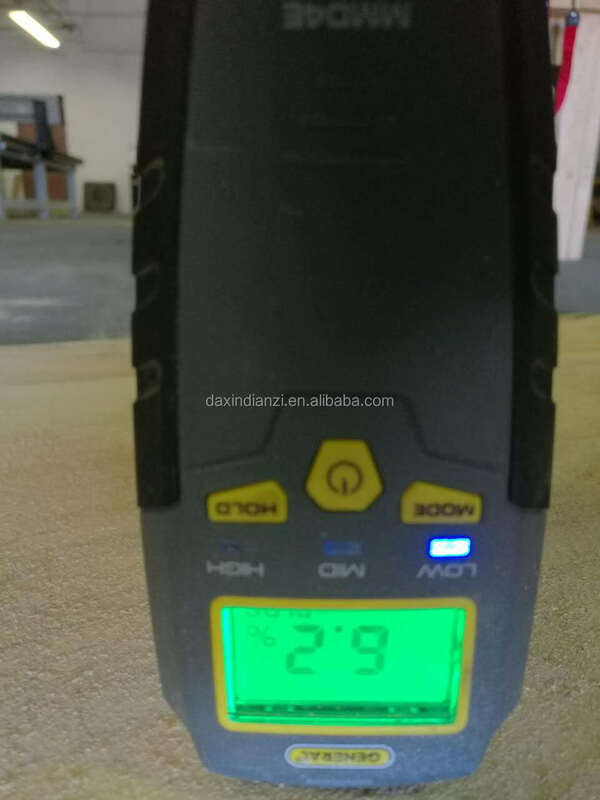 It realize low temperature drying, more suitable to wood easy to spark. PLC control system. 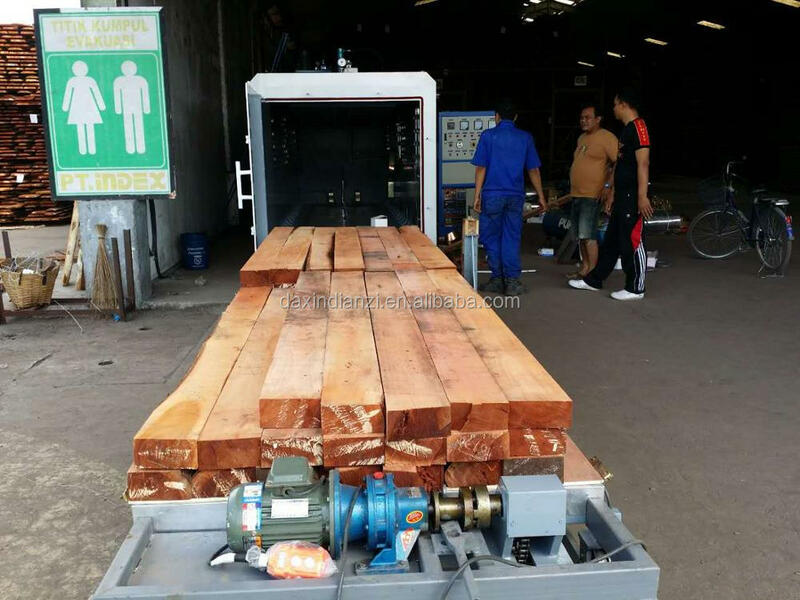 The PLC comes with common hardwood drying program ready for use. 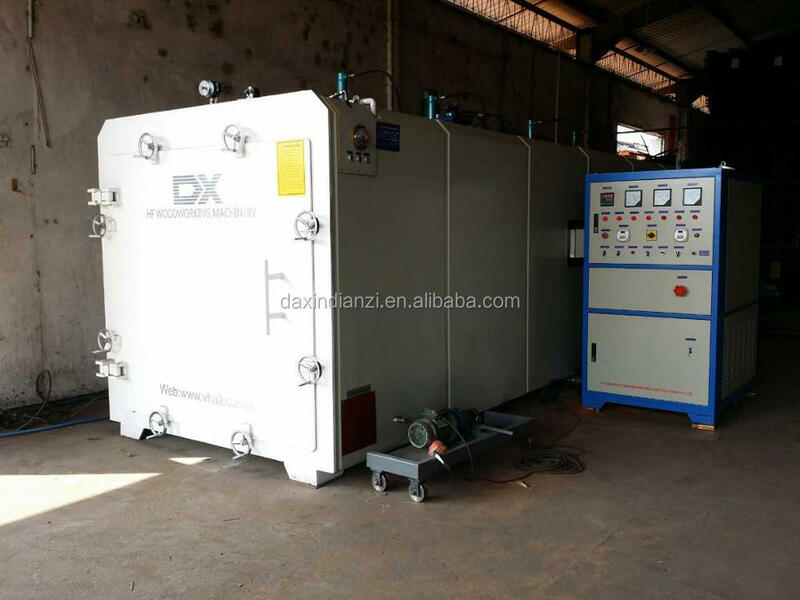 The dryer can run with set program without person guiding or control, gives you perfect drying result without cracking, bending or color change. Application. It is suitable for all kinds of wood, from nomal solid wood, like teak, mahogany, beech, oak, pine, walnut, merbau, cypress and so on, to veneer laminate, avoiding shrinking and bending. 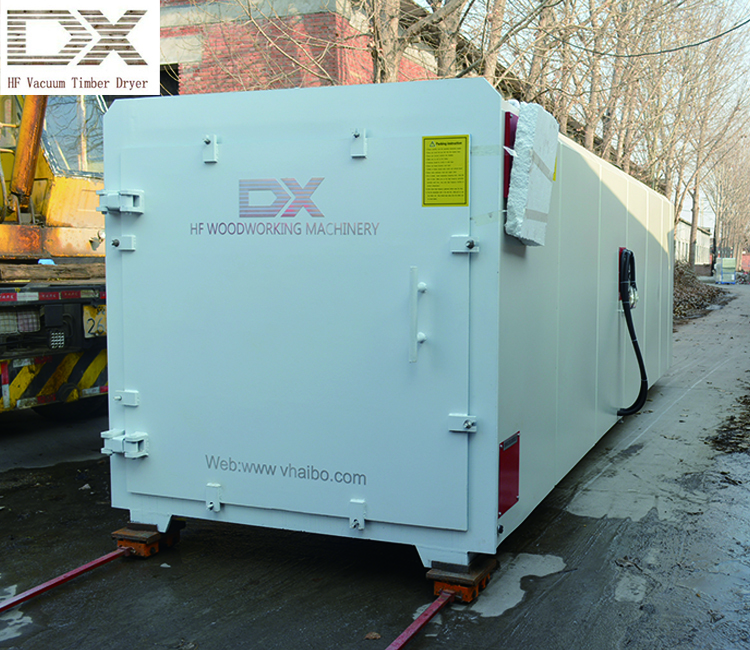 Why do you choose DAXIN HF Woodworking Machinery?